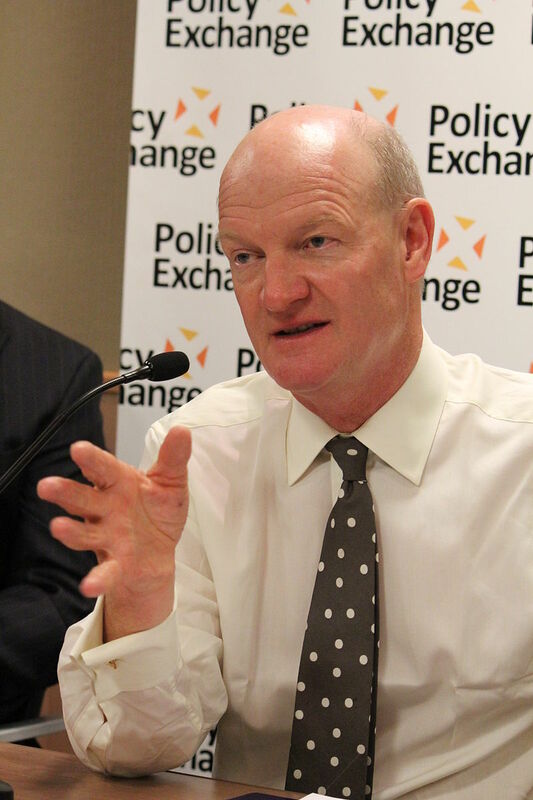 Below is the text of the speech made by David Willetts to the inaugural lecture of the Campaign for Social Science on 28th October 2013. It is great that we are here to celebrate the Campaign for Social Science in the form of this first inaugural lecture. And what I like about the campaign is that it is essentially a positive endeavour. It is not based in this feeling of vulnerability or feeling that social science is under threat. It’s confident. There’s lots of great things about social science. There’s lots of great social science going on in this country. We should be proud of it, we should celebrate it and we should encourage its further growth and encourage people to engage with some of the fascinating, interesting and important observations and findings that we get from social science. So we’ve got a lot we can be proud of. Just in terms of the quality and quantity of social science research, we are second only to the US for the quality of our social science research. According to the QS World University rankings we have a particularly outstanding international performance in areas such as psychology and human geography. I’ve actually just this morning flown back from the US. The budget pressures because of sequestration and also congressional attempts to steer or intervene in specific disciplines, such as political science, are apparent. This does make it a tough environment for social science in the US. Coming back here, we can be proud of what we are achieving. We do have a stable science budget of £4.6 billion per year. And of course you know, when we talk about science, it is science in its broadest sense. We have maintained the balance across the different disciplines because 1 of the greatest strengths of our research base is precisely its extraordinary breadth. And there are no significant problems in the world now that will be addressed or tackled by people working within 1 disciplinary framework without learning and cooperating from others in other disciplines, be it climate change, demographic change or terrorism or whatever – they all require being addressed by people coming from a range of different disciplines. When we try to measure the performance of the British science and research base, 1 of its great qualities is that for a medium sized economy we are world class in so many different respects and so many different disciplines. And, in turn, and this is something that’s even harder to pin down, we seem to be very well connected. We seem to be better at making connections between different disciplines. There’s always more that we need do, but the sophistication of the connections between disciplines is another 1 of our strengths. And I should mention here the crucial work that ESRC does with its budget. Many of the projects that it supports are rated as good, very good or outstanding. It is putting about £140 million a year into current research. That’s before you even turn to the capital that I want to talk about later. I fully support therefore your campaign and your mission to educate the public on what social science is – and why studying it is worthwhile and exciting. That seems to be the basic proposition that unites us. It is a mark of our humanity that we want to understand both how we live in our own society and the extraordinary diversity of societies across the world and that’s an inherently worthwhile activity. And I hope it’s something we’ll be getting across next week when the ESRC’s festival of social science kicks off this Saturday, with events on everything from how to keep your family healthy to whether we still have a north / south divide. It’s a great opportunity to convey the value and excitement of social science to a wider audience. Let me just touch on some of the key aspects of social science as we engage with it here in government. Firstly of course, social science contributes to public policy making. Of course, ultimately ministers decide, but it is always better if we can do so on the basis of evidence. Sometimes this is cross-cutting evidence and not all evidence always points the same way and judgements have to be made. 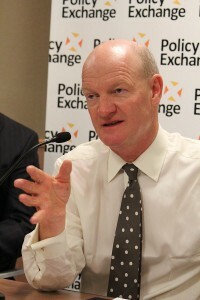 Speaking as a member of the Home Affairs Cabinet Committee, chaired by the Deputy Prime Minister and where a lot of the domestic policy work at inter-ministerial level happens, I can report that often those discussions are informed by evidence that has been either brought before the committee from the individual advisers within departments or which has come to us in other ways. The English Housing Survey provides a lot of evidence on the basis of which housing policy can be shaped. It has actually been quite important in developing the Help to Buy and Right to Buy schemes. In healthcare, Andrew Dilnot’s Commission on Funding of Care and Support was instrumental in our recent announcement that the state would cover care costs above £75,000. In finance, John Vickers’ Independent Commission on Banking established the need to separate riskier investment banking from the ordinary lending and payments systems of high street banks. Here in this department we have responsibility for the Office of Fair Trading (OFT). It has used social science research to understand how consumers react to how prices are displayed. This has led to law enforcement work against low budget airlines, and an ongoing investigation into the way furniture and carpet retailers display prices where there are some interesting intersections of economics and psychology. Extensive research into consumer behaviour also informed – very controversial at the moment – Ofgem’s Retail Market Review which is a package of regulation to make the energy market simpler and fairer for customers. And even, and I think this is a really interesting and granular example, social scientists at the Health and Safety Executive worked with Gas Safe Register to identify the groups most at risk from unsafe gas appliances and encourage them to register for annual gas safety checks. In just 5 months the pilot had resulted in a 300% increase in the number of higher risk households having checks and of those one-fifth of these were found to have potentially dangerous problems. So there are lots of practical examples of social science being put to use to inform public policy – both at the high general level and also specific practical examples. And we’re trying to reinforce that trend with the new What Works Network – gathering and sharing the most robust evidence from 6 independent centres and feeding this into policy-making on health, education, crime reduction, early intervention, ageing and local economic growth. This is about trying to ensure that £200 billion of public spending is directly influenced by the evidence. So there is a lot of public policy that benefits from social science and the input from social scientists. I’ve actually been focusing in the last week or 2 on a piece of public policy that drew enormously on insights from social scientists and which came out 50 years ago – the Lionel Robbins’ report on higher education which set the terms for a massive expansion of the higher education system. One of the reasons it has stood the test of time as 1 of the most significant public policy documents of the 21st century was precisely because it was based on evidence, especially from social science. We’re very fortunate that 2 of the key advisers to that Committee are still with us – Claus Moser who was the statistical adviser to Robbins and Richard Layard. I invited them in a few months ago to go over their recollections as I was trying to write a pamphlet on Robbins and wanted to hear their experiences of working with Lionel Robbins. Claus Moser told me that in the very first meeting of that committee Robbins laid down the rule that they would not recommend anything that could not be clearly backed up by evidence. Five hefty appendices to his report therefore followed! Claus Moser’s career goes on to show the significance and importance of drawing on proper social science and statistical evidence. We have tried to mark the anniversary by commissioning some new research from our researchers here, updating some of Robbins’ statistics. I was also able to commission 1 particular piece of work on the value of university which will be going online by the end of the week. As many of you working in universities will know, we get bogged down in arguments about whether going to university is inherently worthwhile, about whether it has economic benefits, the fact that if you talk about economic benefits, it suggests you don’t understand the non-economic benefits and if you talk about private gains to students, what about the social gains. We realised behind this there was a simple quadrant – on 1 axis benefits that were private and benefits that were social and then on the other axis benefits that were economic and benefits that were non-economic. If you think of the 4 quadrants that result from that, each 1 of the quadrants contains genuine returns to higher education. There are economic benefits that accrue to the individual: higher earnings. There are economic benefits that accrue to society: higher rates of R&D and a bigger tax base. There are non-market benefits that accrue to individuals: improved life expectancy. There are non-economic benefits that accrue to society as a while: higher levels of tolerance. We assembled examples in all 4 quadrants of the benefits of higher education. When Robbins wrote his report he described these benefits as immeasurable. In the last 25 years we’ve got lots of measurements and in the quadrant each example we give of the benefits of higher education is not a nice idea that we discussed sitting around the table in my office saying this must help. Rather, each 1 of those is an empirical claim for which there is a supporting piece of social science research. By the end of the week on the BIS website, you will have not just the quadrant but for each 1 you will have the evidence. So if you want to say does it really make people more tolerant, you will find a reference to the piece of academic research that absolutely does show that effect. Or if you want to know whether there is really a graduate premium and how much is it, you will find a reference to the several pieces of economic research that shows that. So we have tried in the spirit of Robbins to clarify the benefits of higher education but it is also a testament to the value of social science – each 1 of those is an empirical proposition that social scientists have brought us that Robbins did not have at his disposal 50 years ago. Talking about Robbins moves me onto another issue to update you on – social mobility. I chair the Social Mobility Transparency Board which is working hard to overcome practical difficulties linking data on schools, further education (FE), higher education (HE) and employment. There will be some of you here today who are involved with research in different stages of the life cycle. Here we are slowly, painstakingly beginning to break down some rather tiresome barriers. The first blockage was that linked data on schools, further and higher education could not be shared unless a researcher was working on a contract for BIS or the DfE. That was the constraint we faced. We have agreed a legal way forward, we’ve still got some legal issues to resolve, but we believe that we can resolve this so that it should be possible for people to link those data sets without specifically working on a contract for BIS or the DfE, and we think that we can achieve that without primary legislation. Secondly, we wanted to free up Student Loan Company (SLC) repayment data, which has the potential to allow research into earnings following graduation. For a long time some of you will know Anna Vignoles and Neil Shepherd wanted to do this research. We are now working with HMRC, within the tight legal constraints that HMRC faced on the use of their data; we have now got permission for that research team to use this data to model loan repayments by institution and to undertake analysis to support HMRC’s tax compliance. What we have to show, the argument that eventually clinched it with HMRC was saying, this is so that we can understand more about the future tax base and who pays taxes, so it falls within the legal framework for the use of HMRC data. It was that argument that finally won over the HMRC lawyers and the research team have now successfully linked HMRC and SLC data and begun their analysis. Thirdly, we know that linking education and HMRC earnings data would give the public access to better information on average graduate salaries by course. Making this sort of information available is something I’m very keen on. Tracking students through education and into the labour market will also give government a better understanding of learning outcomes and social mobility. But there is currently no legal gateway to enable such linking. We have worked together to design a new legal gateway but it does require primary legislation and we are trying to find currently a legislative vehicle which would make that possible. So we are trying to work together painstakingly at making some of the data linking that many of you will need easier to deliver in practice. Let me now turn to birth cohort studies, because our social mobility research, and other research, has been propelled forward by our internationally recognised British birth cohort studies – a rich resource that many countries envy. Our history of cohort studies have produced, as we know, fascinating findings already. The 1958 and 1970 study cohort study evidence prompted the anguished debate about social mobility which carries on to this day. There is a good question about whether 2 points make a trend but certainly people thought they did. At the start of next month the Centre for Longitudinal Studies will launch the first findings from the Age 42 Survey of the 1970 British Cohort Study. The UK is now 1 of the fattest countries in Europe, and the health problems that this triggers cost the NHS more than £5 billion every year. The 1970 cohort represents a generation that grew up with increasingly sedentary lifestyles and more access to ready meals. They were the first generation basically to grow up in fast food Britain. We think these latest findings when published will prompt a very lively public debate about the prevalence of obesity, associated mental health problems, attitudes to exercise and eating habits. So it’s going to be a very important contribution to a highly fraught debate. So I am pleased that we were able to fund the new 2012 birth cohort study, which will add to this important canon of Birth Cohort Studies. And it is especially exciting because of its potential to link medical, biological and genetic data with social and environmental data. It is going to make those connections more ambitiously than ever before. And other countries are keen to build on our experience. The value of our social science is not just for Britain – it is striking how other countries want to learn from it. And I hope you recognise the significance of what you do internationally. An example comes from when I was with the Chancellor in China only 10 days ago. Here is a brochure that in Guangzhou Women and Children’s Medical Centre, the largest maternal centre in Southern China, Chinese mothers are given to get them to sign up to a Chinese Birth Cohort Study which enables the tracking of babies born in Guangzhou. I was very impressed. The University of Birmingham are working very closely with them on this project – Professor Peck was there with me – and advising them on how to design the project and get participation in it. Most of the pamphlet is in Chinese script but, at the bottom of page 3, you suddenly see Avon ALSPAC! This is constructed based on the model of the Avon ALSPAC study of 1991 to 1992. And there you are, you’re sitting in a maternity centre in China, and finding it’s a British Birth Cohort Study that they are using to model what is going to be the first major Birth Cohort Study in contemporary China. So what we do has international interest and significance, and the kind of methodological challenges that you wrestle with domestically, when you crack them, when you resolve ways of doing things, they will be of value internationally. I’ve talked about the linking up data of social mobility studies. I’ve talked about our Birth Cohort Studies. If we are to exploit all these precious resources properly we need to build an infrastructure to help us handle the huge quantities of data they produce. We have been working hard to ensure not just that we link up data sets, but that we have both in Whitehall and more widely the capacity to harness the extraordinary scientific and research potential of Big Data. And in fact, when we secured from the Treasury a £189 million Big Data research budget, it was the ESRC which took the overall coordinating role for ensuring that this Big Data research programme was properly managed. And within that budget of £189 million, £64 million was set aside specifically for social sciences. And of this, I was able to announce the other day that we have now got £34 million to invest in our new Administrative Data Research Network, with centres at the universities of Southampton, Edinburgh, Swansea and Queens University Belfast, and an administrative data service at the University of Essex. This new network, which we are investing in, will give researchers access to a huge amount of data held within government departments. It will enable us to access confidential data in secure settings with the proper regard for confidentiality. So investment in those facilities, I hope, will be used by people in this room and the wider social science community to do further social science research. Meanwhile, a £5 million new facility at the Institute of Education called CLOSER (the Cohorts and Longitudinal Studies Enhance Resource) is giving researchers easy access to 9 of our most important longitudinal studies, including participants born as early as 1911 and as recently as 2007. They have already had significant impact through these studies, with interesting findings such as Heather Joshi finding that mothers working does not appear to have an impact on children’s development. Now, the next challenge we face on improving access to data is improving access to the raw data underlying new research. We’re implementing Janet Finch’s work on access to research findings. But behind that, there is the data that supports the research findings. Access to this is very important, and it’s important for lots of reasons. Some of you may have seen the piece in the Economist last week, about the challenge of non-replicability of results in science, which is a profound challenge to what we believe to be at the heart of the scientific enterprise. If you cannot replicate the results, on what basis can people have trust in science in the future? But if you do have to replicate the results, then you need to be able to access the original data on which the research was done. And there are significant technical challenges that we need to overcome to ensure proper access to data. I chair our Data Transparency Board, to try to work with the academic community to tackle those challenges. There is, for example, the problem with the rather unappealing name ‘link rot’. It sounds like a nasty disease from the trenches of the First World War or something. In fact it’s the name that refers to the experience of clicking on a URL reference in a paper and reading only an infuriating message saying ‘page not found’. And if that is the ultimate empirical basis for claims in an academic paper, if more and more of the references cannot be found, then that is a significant erosion of our academic research base. There has been some work done on link rot in the ‘Journal of the American Medical Association’, the ‘New England Journal of Medicine’, and ‘Science’ – 3 very prestigious titles which shows that there is 4% link rot after 3 months, 10% after 15 months and 13% after 22 months. So, we have to do better at data curation and the preservation of these types of supporting and link references. Ensuring that scientific enterprise can carry on with links in research articles that I’m sure people in this room have published remaining usable and viable in the future is a significant challenge for the Campaign for Social Science and the academic community more widely. Now actually, social scientists, this is all part of a wider challenge of ensuring that the data that you use is machine readable and accessible, and can be linked. And here, actually, where we are sort of researching what we should do to rise to this challenge, social scientists to your credit, actually have got significantly ahead of several other disciplines. The ESRC UK Data Archive costs about £3 million per annum to run and has about 24,000 users. It’s actually quite a centralised model, but it does collect and assemble large amounts of social science data, and it does mean that you have a reasonable facility in the social sciences for linking data from various different studies. Many other disciplines haven’t been able to achieve so much, but we do need to do more, and soon we will be launching our new cross government Data Capability Strategy, which will explore how we tackle all of these issues to make the most of the extraordinary amount of data now at our disposal. So, 1 of the challenges for the academic community is this issue of ensuring high quality maintenance of data and in forms that can be easily linked and machine readable. There’s another challenge as well, and that is that we must have properly qualified people to exploit and use the data. At present we have a serious shortage of social science graduates with the right quantitative skills to evaluate evidence and analyse data. This is actually a problem that is impacting on a whole range of university subjects across the board and it can be traced to what happens in schools. Only 16% of undergraduates studying subjects other than maths have an A-level in maths under their belt. Often they will have forgotten much of what they once knew, and they may well sadly not have confidence in their own abilities. The Advisory Committee on Maths Education estimate that, of those entering HE in any year, some 330,000 would benefit from recent experience of studying some mathematics (including statistics) at a level beyond GCSE, but fewer than 125,000 will actually have done so. That’s the scale of the challenge that we face. I’ve just come from a meeting with Liz Truss from the DfE, and she and Michael Gove are trying to ensure that everyone continues some level of mathematical study until the age of 18, because it is such a pervasive discipline that is so important for many other areas of research, including the social sciences. And in the social sciences I am thrilled that we now also have Q-Step – the £19.5 million programme designed to promote a step-change in quantitative social science training. Fifteen universities have been given funding to overhaul their teaching by the Nuffield Foundation, the ESRC and HEFCE. It’s a great initiative. We are expecting 50 new university-based teachers of maths as a result of this programme. The institutions involved will develop new courses, adapt the content of existing ones and experiment with new teaching methods. They will also set up work placements for students and encourage more students to go into postgraduate study. They will also do vital outreach work in schools. And there will be some of you who will have dealt in your university environment with perhaps a new student who’s passionate about trying to understand society and social change, maybe being very interested in social policy, maybe personally passionate about poverty. But if they haven’t done any maths since the age of 16, quite soon they will find that if they really want to understand the data, if they want to approach this empirically, they will need statistical and mathematical skills, otherwise they will simply not be able to live up to their potential as social scientists. And that’s why Q-Step is so important. It’s also why I attach great importance to the excellent work carried out by Sigma, the HEFCE-funded project led by Loughborough, Coventry and now Newman Universities, which has helped to establish approachable maths support services at institutions across the country. So if you are a social science student panicking when you suddenly find your self needing help with a daunting set of statistics, and trying to make sense of a regression analysis, Sigma provides user friendly mathematical guidance. I am delighted to announce today that HEFCE will be investing an additional £800,000 in this excellent network. This 3-year funding will be used to set up new maths support centres as well as boosting existing centres and practitioners. It will fund workshops and conferences focusing on effective teaching and learning support, and ensure that tens of thousands of students are able to get the most out of their university experience. So, there is a lot going on. We’re trying to invest in the research base, both with current spending and also with capital investment in things like the Birth Cohort Studies, we also attach a lot of importance to handing Big Data and have made new investments there in Administrative Data Networks. We further attach a lot of importance to helping individuals build up the skills they need in quantitative social science. Finally, James asked me to speculate on what the next significant social science challenges might be. So here are 3 or 4 issues that I care about, and where I still think that there is a lot of work to be done by the social sciences. First, I do think that generational equity is a key issue. This is a very important issue and almost every day when I’m looking up media comment on some issue or other, there this challenge of can we be confident that the younger generation are going to have the same opportunities as the older generation have enjoyed. And as you know, I wrote a book about this. Inter-generational equity is absolutely the kind of issue where the social sciences have a lot to contribute. Whilst doing my book, I was frustrated by the limited amount of data that I had available. Efforts are being made to improve that, but it’s an issue that has touched a chord and where more research is needed, as they say. The second issue relates more to my current responsibilities. I identified, drawing on expert advice, 8 great technologies where Britain had a comparative advantage. To understand that comparative advantage you often have to delve down into history or social change. You can become a complete technophile, excited 1 moment by advances in robotics or autonomous systems, or synthetic biology. But these technologies, all of them, will only be of significance if humans behave in such a way as to benefit from them, and if they’re set within a moral and cultural framework, which means that they are acceptable and don’t lead to scandal and hostility. So for robotics for example, the future is human-robot interaction. There are regulatory issues here, because robots can only be defined as machines and so all the modelling for the health and safety executives involves putting a machine in a cage with a fence and keep it apart from humans. So you have to go back to some quite fundamental issues in regulation when you say, well, the future is for the worker to have a co-worker that is a humanoid robot so how do we develop regulation to reflect that. And do we want to set challenges for a robot like we’re going to let you out on the Edgware Road and the first to get to Brixton wins a prize? So when you start thinking about those types of robots in society, there are massive issues in social science. So I go to events with some of these new technologies, and there are scientists from the physical sciences and there are technologists, but all of them need as well input from social scientists, moral philosophers and others. There are also fantastic opportunities for Smart Cities with the internet of things, as the next stage is for us not to just be communicating through our mobiles, but through many other instruments and devices. For example the car recording where it is and how much energy it’s using to move, the fridge reporting how much energy it’s using, our movements being recorded and reported. That is potentially a massive amount of data that can be used to enable cities to function better. But what are the limits to the use of that data? How can they be used to inform better social policy? Again, these are big social science issues. So, 1 of my personal resolutions is to try to make better connections between these technological advances and social science. Third, there is a profound debate going on about the structure and assumptions of economics. You’re allowed to use simplifying assumptions in disciplines – no discipline can capture the whole complexity of reality on its own. But the work of the nudge theorists Richard Thaler and Carl Sunstein as well as the influence of Richard Layard in getting us to think about happiness and wellbeing and Daniel Kahneman who won the Nobel prize for economics, though his original discipline is of course as a psychologist, tells us something. It tells us about how the world is changing, tell us that the intellectual foundations for economics are changing rapidly, and I think it’s very important that British thinkers, economists and other social scientists play a role in that. Fourth and finally in my list is risk and hazard. Attitudes to risk often confuse it with hazard, and in turn, how we handle uncertainty. If there’s a principle, and you come across quite a few principles that people throw at you, if there’s a principle that I find harder to understand, more ambivalent, more subject to an extraordinary diversity of interpretation than anything else, it’s the precautionary principle. It is often cited but it would be very hard to describe it in a way that people would share and recognise. This is another area where there are extraordinary advances in physical sciences and technology, but some kind of lucid attempts to understand what public attitudes are to risk, hazard and uncertainty, and how we feed those in to decision taking, would be very valuable. So I have tried to end in the style which is academic, of identifying a programme in which further research is needed! Thank you very much indeed.